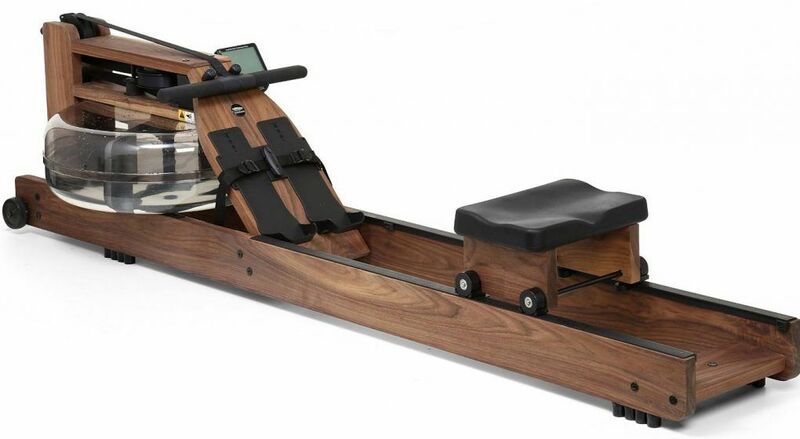 One of the world's leading brands of rowing machine, WaterRowers have created an aesthetically beautiful piece of equipment that makes you feel like you're right out there on the water. Using water resistance instead of air, WaterRowers allow the user to control the level of resistance every step of the way. This means that you can get a great workout whether you're a beginner or a pro. The most expensive rowing machines around, with WaterRowers you're paying for more than just an amazing workout, you're paying for an eye-catching piece of furniture too and that's what really sets the WaterRower apart from competitors like Concept 2. Quiet water flywheel. Without the distracting whoosh of air resistance, WaterRowers are create a quiet and relaxing sound. Dolly wheels below the water tank means moving and storing isn’t a problem. 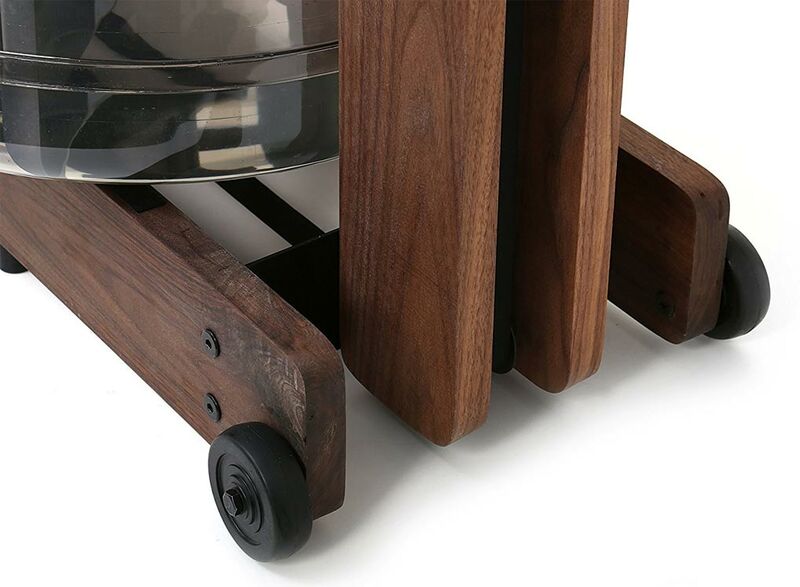 You can stably store the WaterRower upright and wheel it easily around the room. An extremely comfortable seat means that you don’t have to compromise on bum-comfort while ripping out your killer workout. Row in style, row in comfort. The water whoosh can be weird to get used. If you want a silent rower that you can use with the TV on, this probably isn't it. Top of the range walnut model is very expensive. Luckily though, WaterRower has cheaper wood type choices that look just as good. 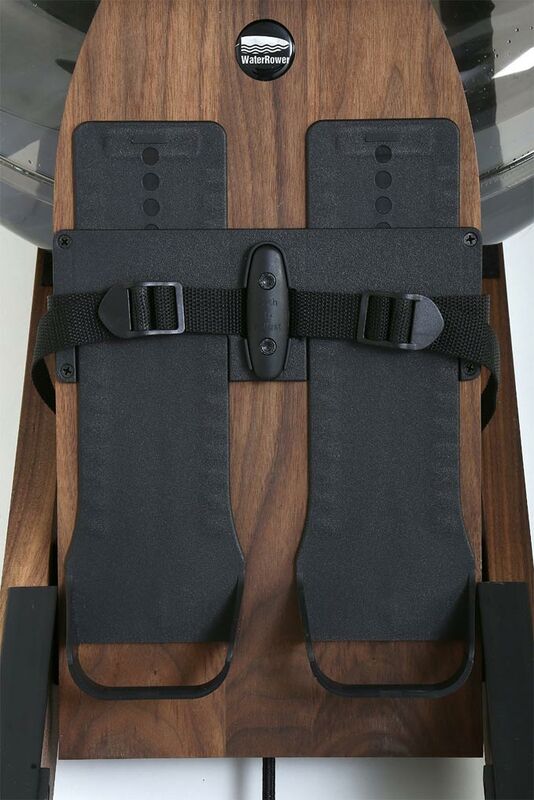 The budget WaterRower (A1) has a monorail with isn't as stable as the pricier WaterRowers' dual-rail. This means WaterRower don't really have a suitable budget machine. WaterRower were founded by a US National Rowing Team Member who wanted a piece of equipment he could train on that was as close to the real thing as possible. But more than that, he wanted to build something that made him feel like he was in nature too. The combination of water and wood achieves the harmony he designed for. Same as above but upright against a wall. Dolly wheels below the water tank make moving and storing easy. What’s the difference between the WaterRowers and which one should you buy? 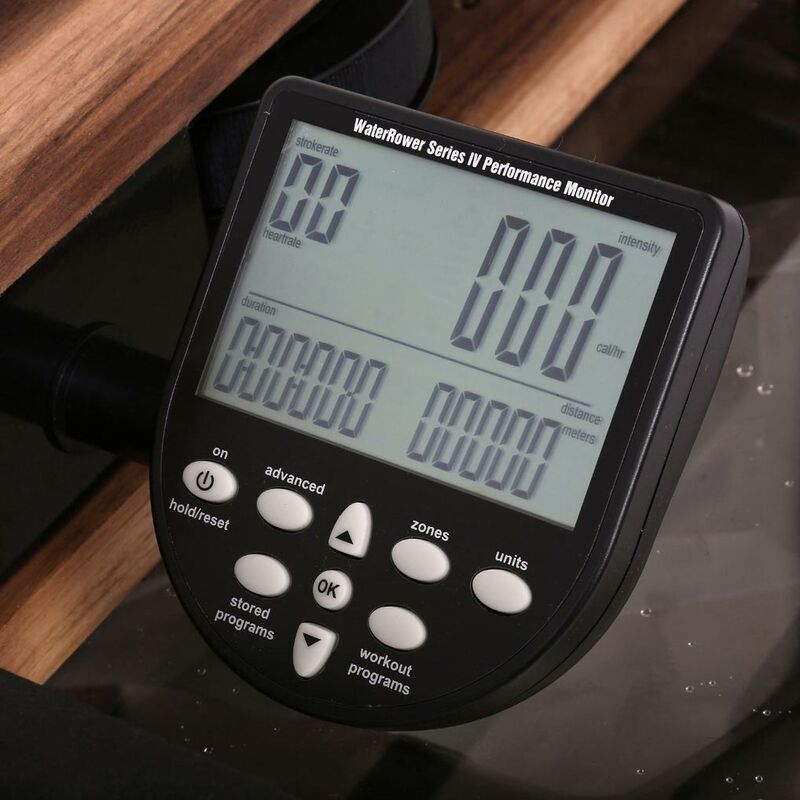 All WaterRowers are essentially the same with the exception of the A1, the cheapest model.​ In these WaterRower reviews, we'll be looking at the A1 and the main range. The WaterRower A1 is the cheapest model in the range. It's not quite as visually attractive as the other WaterRower's but it still looks great. 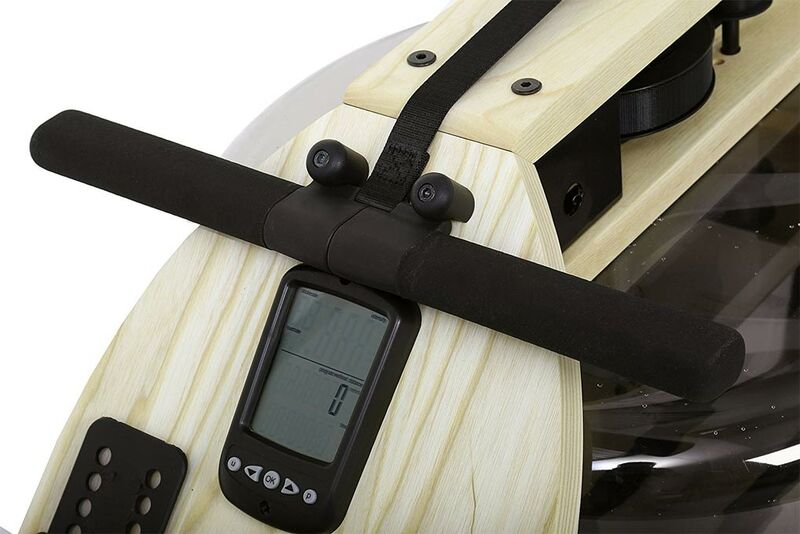 The A1 WaterRower is very affordable and a great entry-level WaterRower machine. Made out of solid ash wood and aluminium, the A1 isn’t quite as visually attractive as the others in WaterRower’s range but it still looks great. Not as stable as the dual rail that features on the rest of the range. Comes with A1 QuickStart LED monitor. Great for quick and easy but lacks depth in the details. The WaterRowers in the main range are: Classic, Club, Natural, Oxbridge and S1. All these rowers are identical with the exception of the woods and finishes. Made from different hardwoods, these WaterRowers are beautifully in every respect. You can choose between solid ash (Natural and Club), solid cherry (Oxbridge) and solid walnut (Classic). These WaterRowers come with the impressive S4 Performance monitor as well as having dual-rails for total stability and smoothness of movement. Chances are, you won’t even know you’re not on the river. What’s so great about the S4 Performance Monitor? Retaining the QuickStart usability of the A1 monitor, the S4 takes your rowing workout tracking a step further. It’s simple to use but carries much more detail, allowing you to better track, monitor and ensure your progression. You want to keep your rower in an obvious position in the house, love solid wood aesthetics and enjoy rowing on real water. Choose A1 if you’re new to rowing and are on a budget, choose the from the main range if you don’t budget contracted and simply want the best looking rowing machine available.